KIEV, Ukraine -- One of eastern Europe’s longest privatisation sagas may finally be drawing to a close. But there is no happy ending in the story of the sell-off of Ukrelecom, Ukraine’s fixed-line telecoms operator. 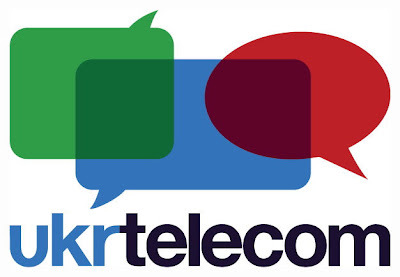 After missing opportunities to privatise it in better times - when sentiment in financial markets and in telecoms was more favourable - Kiev is selling Ukrtelecom at a difficult moment, when the government’s debts give it little manoeuvre room. Worse, Ukraine is imposing conditions that could limit its chances of getting a decent price. Legions of investment bankers have visited Kiev and tried to talk telecoms since the Ukrainian parliament approved privatisation 10 years ago and the government sold around 7 per cent of Ukrtelecom to the company’s staff and local stock market investors. But successive administrations failed to go ahead with the planned sale of remaining 93 per cent. Sometimes, the proposed partners weren’t right; at other times it was the price. And always Ukrtelecom’s powerful bureaucrat-managers, along with their political allies, wanted to keep control. Along the way, the government in 2003 sold off UMC, a successful mobile business Ukrtelecom owned jointly with Deutsche Telekom and the Dutch group KPN. Russia’s Sistema Group was the fortunate buyer, securing control of UMC for only around $200m. Now, president Viktor Yanukovich (pictured) seems have bitten the bullet on Ukrtelecom itself with his government on Wednesday formally launching a privatisation tender that is due to be completed by December 28. But these are bad times to be selling a big asset in eastern Europe, where the post-crisis economic recovery is struggling. Ukraine has pulled out of deep recession only with the help of a $15bn IMF assistance package. The debt-laden government badly needs money - and everybody knows it. Ukrtelecom controls about 80 per cent of Ukraine’s fixed-line market. But the real attraction - and the key to its $1.3bn-plus estimated price tag - may be in its ownership of Ukraine’s only 3G mobile phone licence and a small mobile business. In any case, controversial tender restrictions threaten to cut leading global telecoms out of the bidding. One rule bans companies in which a government owns more than 25 per cent; that rules out west European operators such as Deutsche Telekom and Norway’s Telenor. The restrictions are expected to boost tender chances for domestic billionaires and Russian bidders. In a note to investors, Kiev-based investment bank Dragon Capital said: “We consider domestic business conglomerate System Capital Management and Russia’s AFK Sistema, which owns domestic cellular operator MTS, the most likely bidders for Ukrtelecom.” System Capital Management is the holding company of Rinat Akhmetov, Ukraine’s richest man and a long-time Yanukovich backer. Officials suggest that foreign bidders with state shareholders are being excluded on security grounds. But they have not explained why foreign private sector bidders in countries where the state intervenes often in the economy - as in Russia - would be acceptable. The sale is Yanukovich’s first large privatisation since he took office in February. How he handles these issues will be an important test of his promises to run the economy even-handedly, without favouring his friends in big business. The prospects for fair play do not look good.